"Died by the hands of Michael Phelps, being literally blown out of the water by the greatest American since Abraham Lincoln"
Michael Phelps (L) of the United States leads Chad le Clos of South Africa in the Men's 200m Butterfly Final on Day 4 of the Rio 2016 Olympic Games at the Olympic Aquatics Stadium on August 9, 2016 in Rio de Janeiro, Brazil. Wikipedia trolls edited Chad le Clos' Wikipedia page to say he "died by the hands of Michael Phelps," after the Olympian was defeated by his rival in the 200m butterfly. Various edits were made to the South African swimmer's page just minutes after Phelps beat le Clos, who failed to medal Tuesday night. An editor changed le Clos' wiki profile to temporarily read: "Died by the hands of Michael Phelps, being literally blown out of the water by the greatest American since Abraham Lincoln," according to USA Today. Additional edits called him "Michael Phelps Pool Boy" and said that "Le Clos was buried beneath Phelps' medals." The edits were deleted and the profile was restored by early Wednesday morning. Le Clos finished fourth in the 200m butterfly as Phelps finished first in his signature event, giving him his 20th gold medal in Olympic competition. Phelps went onto win his 21st gold medal an hour later in a relay. Phelps lost to le Clos during the 2012 Olympics in the 200m butterfly. 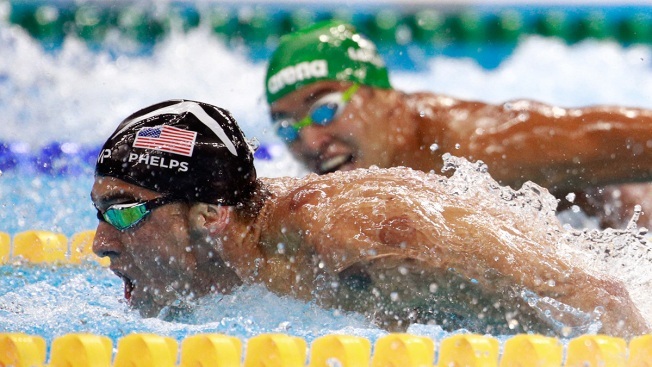 Before another Rio event, Phelps was caught making the "Phelps face" while le Clos was seen pacing near the U.S. star. That prompted heightened anticipation for Tuesday's rematch in Rio. Chad le Clos Wikipedia edits following his loss to Michael Phelps in the 200m butterfly at the Rio Olympics.